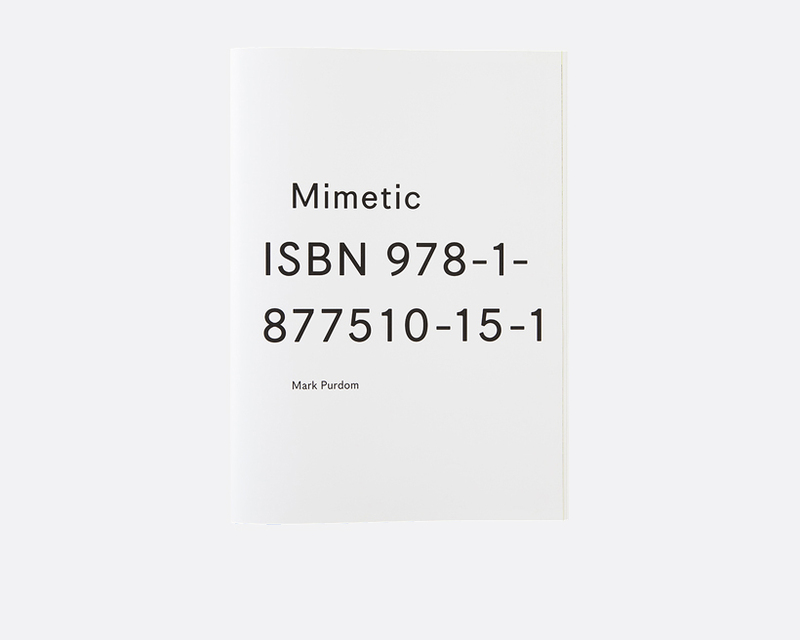 Mimetic is a playful reference to Purdom’s multi award-winning photo book From Certainty to Doubt. Mimetic as a work is an exposé of the photographer’s research, influences and continues the visual examination of nature’s fundamental survival strategies – mimicry, camouflage and deception, and how humans have adopted these concepts in their everyday lives. As well as new photographic subject matter, the book features interleaved pages of research ephemera, poetry, technical illustrations and text that influenced the aesthetic and conceptual direction of the project. The book urges the viewer to look and look again. Pushing the boundaries of art books, it celebrates the medium, drawing in the viewer with photography, strong design and beautiful construction; yet mimicking the subject matter held within – it continues to reveal and hide in turn.